Imagine a world where all human lives are valued equally. Racial inEquality, POVErty, and financial Insecurity ARE THE MAJOR ISSUES OF OUR TIME. NOW IS THE TIME TO QUESTION AND EVOlvE THE WAY WE LIVE. Our civilization is on the cusp of a major shift in consciousness. It's time to shift away from a system where housing, healthcare and education are designed for and driven by profit. It is time to question ideas like providing basic financial security, focusing on community over profit and growth, ending cycles of poverty, creating true freedom to do what we love in life and moving away from antiquated measurements of success like ownership, GDP to evolve our social contract. Each of the below projects offer a unique approach to creating positive social transformation around these issues. With a focus on story telling, community engagement and effective altruism, we're hopeful real positive change is in progress. Creating action to make a world where every human is treated equally. Our focus is to create social justice through social impact, storytelling and services that are tied to direct actions with the intention of driving community to create positive lasting change on issues surrounding poverty and inequality in the US. 2. provide education, art and engagement to build community and shift social consciousness towards compassion and respect in an effort to bridge the socioeconomic divide and develop a better social contract. We believe that our world is out of balance; our current trajectory certainly is not equitable, but more importantly it's not sustainable. We believe that great storytelling, filmmaking, community engagement, and piloting new ideas play a critical role in reshaping our society. The Economic Justice Project is the pursuit of ideas that encourage solidarity, civic engagement and education to shift society in a positive direction. In America, wealth inequality continues to grow. The lack of improvement tells us that current economic systems are designed to perpetuate this imbalance. Over the course of five years we worked with over a dozen non profits around the Bay Area to create films about homelessness. We began to see some patterns emerging and wanted to explore the issues around economic security, lack of work freedom, racial injustice, degrading community, housing issues and various cycles of poverty. We launched the Economic Justice Project to share a few insights and showcase a variety of projects that all stemmed from this issue of homelessness. Below are a few of the projects that range from radical listening, to community centered design, to ethnographic photo journalism, to feature documentary, that are efforts to create solutions that treat existing human rights issues and present long term systems change to shape a better human civilization. 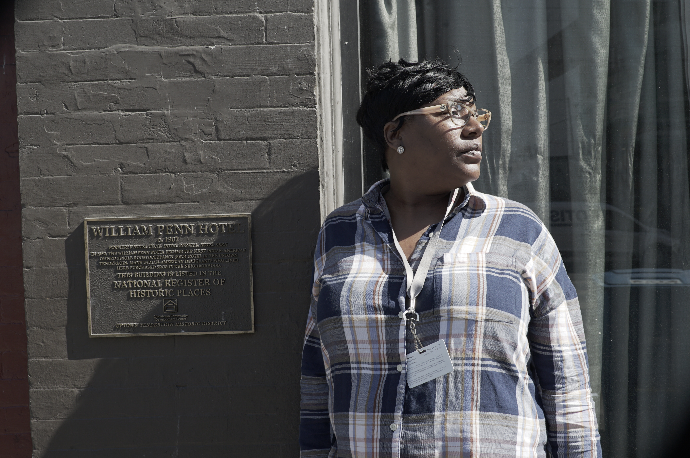 A modern day story that confronts poverty and segregation in San Francisco. What happens when a child has been exposed to trauma? Starting with this question our documentary will unveil the transformative journey as residents from Potrero Hill public housing work to build a better future for their children, their families and their community. While their neighborhood is undergoing a long and stressful rebuild, they are supported by community leaders who model new behavior and provide the tools and services to help families cope with adversity and build resilience. This is the story of a well informed and strategic attempt to end three generations of poverty; an initiative to confront racism and heal by working together to co-create an empowered, compassionate and supportive community. The long term solution to the cycle of poverty is to prevent people from entering poverty in the first place. The notion of Basic Income offers a radical solution to systemic issues of economic injustice, and has been supported by the left and the right. The movement has the great potential to restore economic equality and bring about positive societal transformation through equal access to the basic resources all humans need to survive and deserve. In exploring various examples of Basic Income in action, we have pinpointed its greatest impact on real people, and the subsequent ripples of effect in these communities. Our feature length documentary intends to be a story that educates, inspires, and moves people to action. This is a film with the audacious goal of orchestrating the launch of a Universal Basic Income for a city here in the US. San Francisco is the first city in the nation to launch a Financial Justice Project to assess and reform how fees and fines impact our cities’ most vulnerable residents. Too often government programs and courts levy fines and fees on people, partly to generate revenue to balance public budgets. There is often an insidious unintended impact of this practice---to push people into poverty. These fines and fees can knock people down so hard they can’t get back up. Poor people and people of color are usually hit the hardest. These financial penalties can make government a driver of inequality, not an equalizer. 2. Cultivate an environment and process that engages the community and gives residents an equal seat at table. 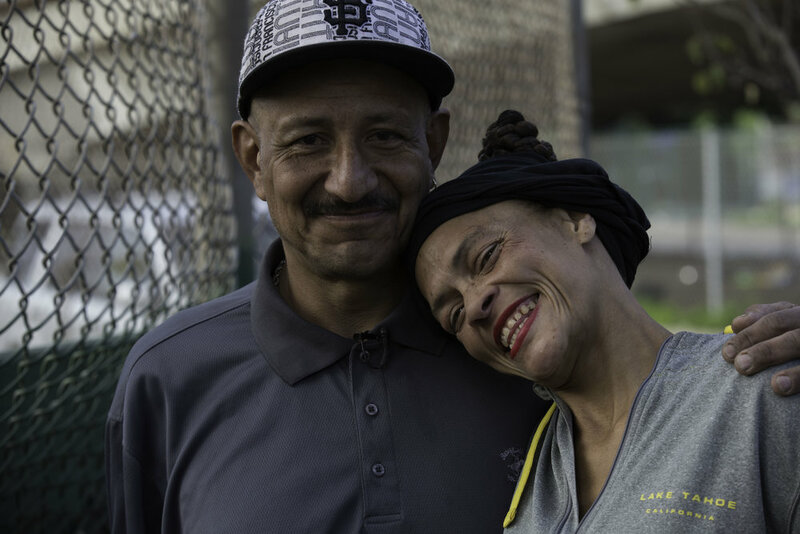 This project seeks to employ the art of documentary filmmaking to help residents in SoMa articulate and amplify existing issues, and create equitable change through a process that encourages and excites the neighborhood to participate in improving their community. The focus of this project will be the 20% of the student body at Bessie Carmichael who is currently homeless. The Wages of Work’s mission is to challenge accepted legal constructs and customary norms in the workplace that restrict worker rights and perpetuate economic inequality. Specifically, this project will examine the implications of the restriction of rights – those of speech, privacy, assembly and due process – by employers. We intend to shine light on a rarely examined lack of civil rights protections for working Americans. By illustrating the consequences of these breaches on individuals and the economy, and by outlining specific legislative reforms, we intend to promote the further development of American equality, economic and otherwise. This is a radical listening event developed to spur a shift in consciousness around the issue of homelessness. This community gathering is an opportunity to connect unhoused (homeless) residents currently living under the 101/Cesar Chavez bridge in San Francisco together with local housed residents. The event will include a three course sit down brunch, live music, and meaningful conversation with a focus on cultivating relationships between two distinctly different groups. We hope to provide space for conversation that shows each group they have more in common then they may have thought. Homelessness is for the most part not very well understood and this is the biggest barrier for helping people in need. Most people have ended up on the streets or remained there for reasons that are beyond their control. We believe they should be treated as equals regardless of their current situation, and we hope to raise awareness and most importantly compassion and empathy for members of our community who need our support! Through photo documentary storytelling we captured genuine stories directly from those in need. In most cases people don’t understand the circumstances or backstory behind why people become or stay homeless. Our hope is to provide insights that 1. offer ideas that enable a deeper look at what is needed to more effectively get people off the streets, 2. increase the quality of treatment for people currently living on the streets. This project seeks to demystify homelessness. Homeless people need homes! The waitlist for shelter in SF has grown to 1,100. This alternative approach is based on the insight that the existing system is a massive failure and over 7,500 people are suffering right now on the streets every night in SF alone! We're calling this solution Saint Francis Village. The idea is to make use of under utilized land and a village model to provide an immediate safe place to sleep that is coupled with supportive services. We are developing and piloting sleep and service villages on underutilized land for unhoused residents currently sleeping on the streets of San Francisco. We will provide a minimum of secure sleep using tiny home structures, 24/7 access to bathrooms using port-a-potties, storage, trash disposal, site coordination, and partnered connection to case management that aids in the transition to permanent housing. The infrastructure will be developing using tiny homes that can be easily relocated to deploy state of the art villages on unoccupied land in the city. It provides a superior solution to the existing street encampments that addresses the needs and dignity of unhoused residents as well as concerns expressed by local businesses and community members. Our work is rooted in radical listening and takes audiences on a journey to create empathy, build awareness, develop solidarity and experience great stories. Subscribe to our newsletter to stay informed about the issue. We are a fledgling nonprofit and need your support to further the cause. Take our survey. This problem will require the participation of communities at all levels. Want to learn more? We want to hear from you.